You may think you know photo booths. You’ve probably grabbed props and posed in front of a curtain at many a wedding. But you’ve never experienced one like Northerly Photo Camper. That difference was Northerly Photo Camper, a lovingly restored vintage 1960 Shasta trailer. 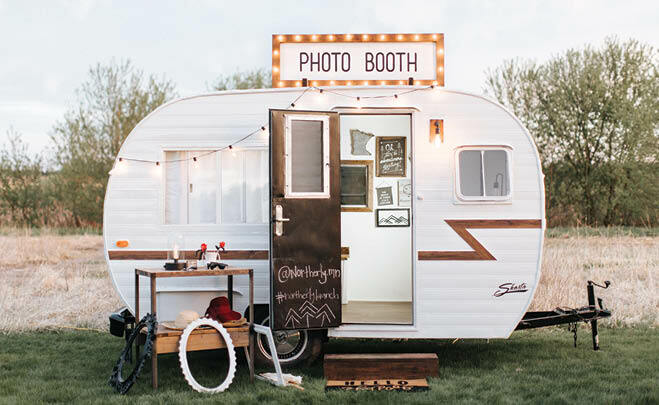 In her previous life, Northerly was a concessions trailer, and it took the Maple Grove-based Beckers four months to rebuild Northerly as a fun photo booth. It was worth the elbow grease: Wedding guests love taking selfies outside the photo booth as much as they love getting their pictures taken inside. 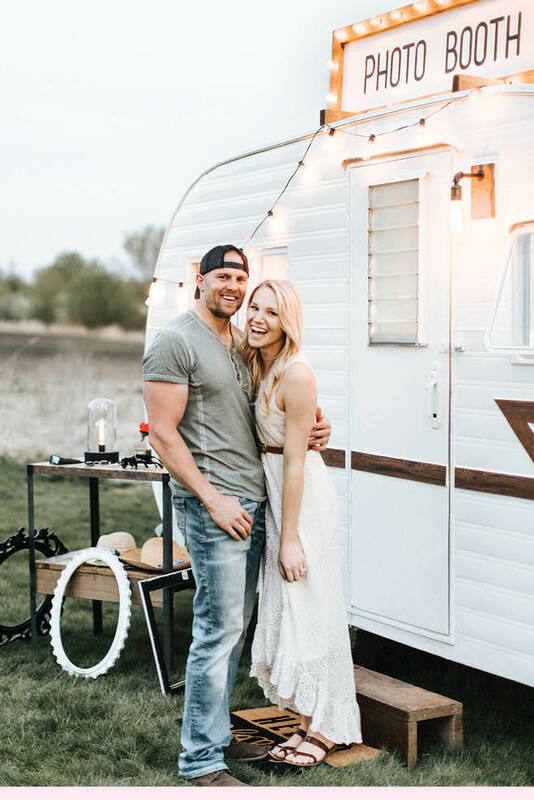 “People instantly light up when they are around the camper, and it warms our hearts to stand outside the booth hearing the roar of laughter from inside,” Becker says.